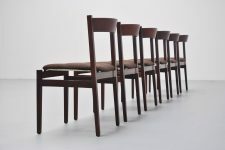 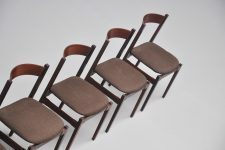 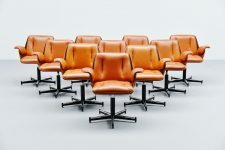 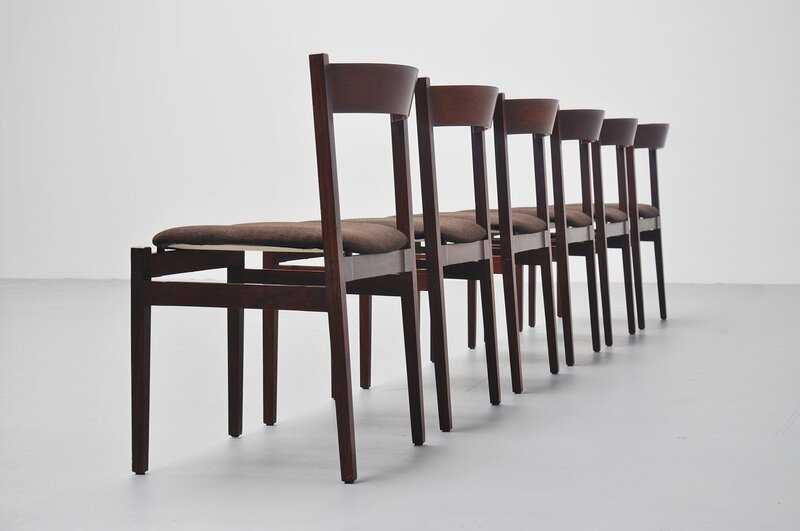 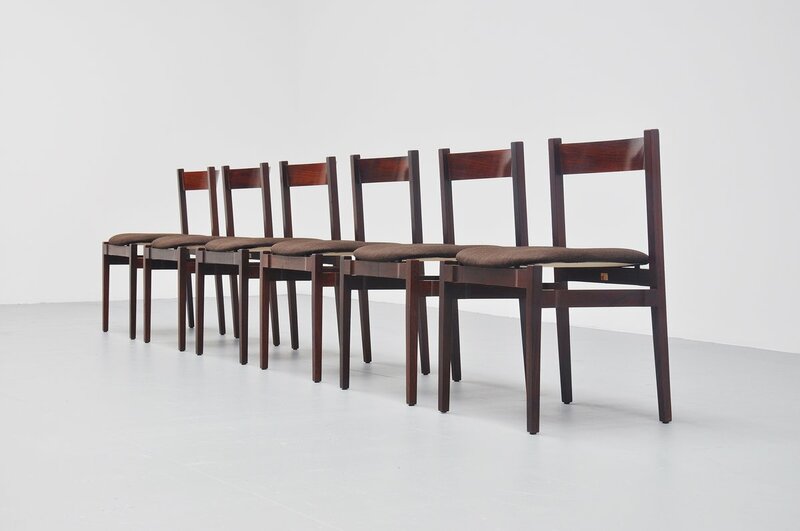 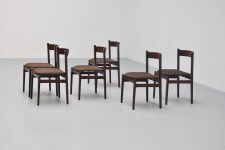 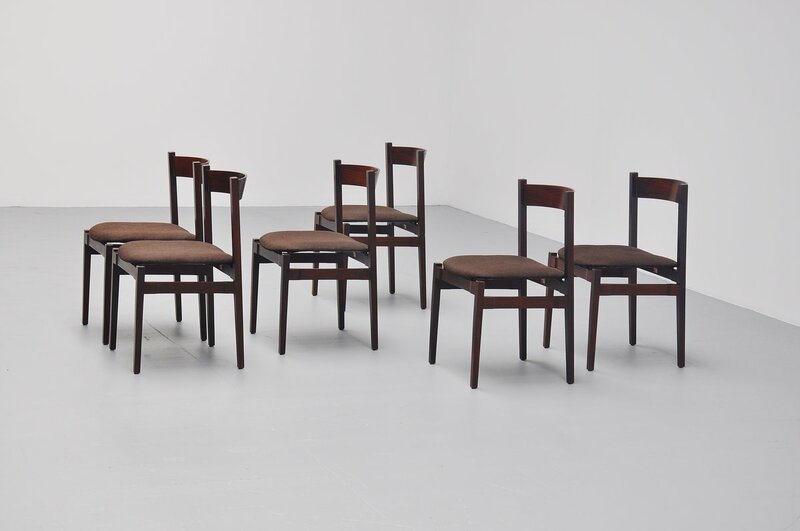 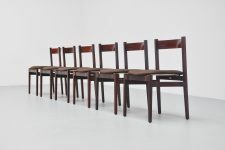 Rare and nice set of dining chairs designed by Gianfranco Frattini for Cassina, Italy 1960. 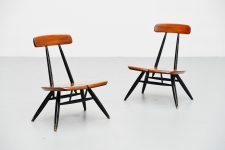 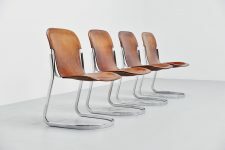 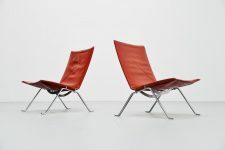 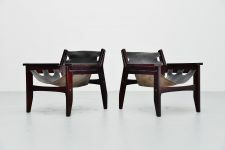 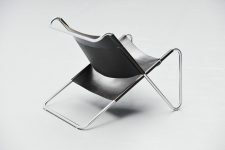 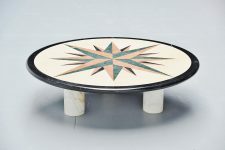 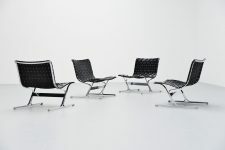 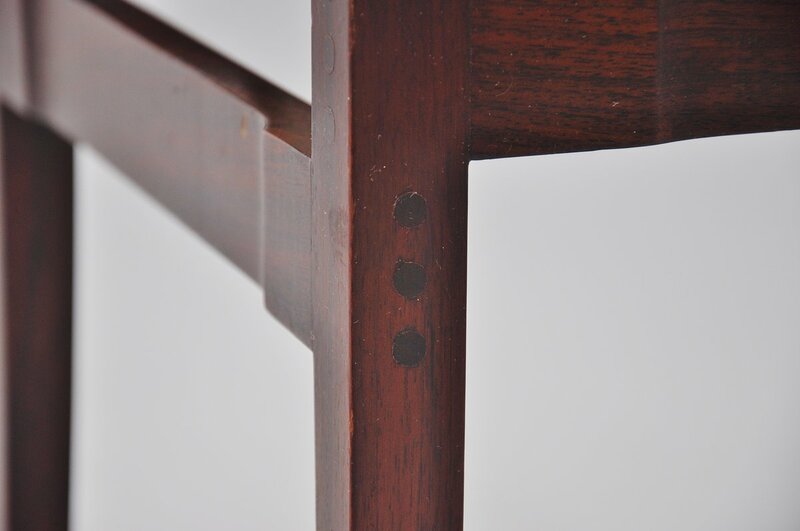 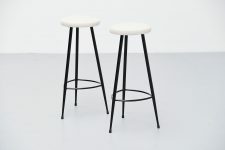 Subtle modernist shaped chairs with many hidden beautiful details. 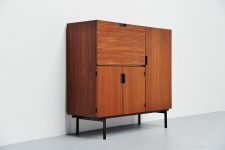 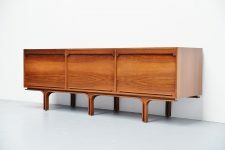 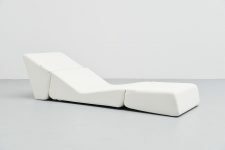 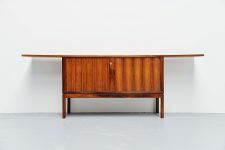 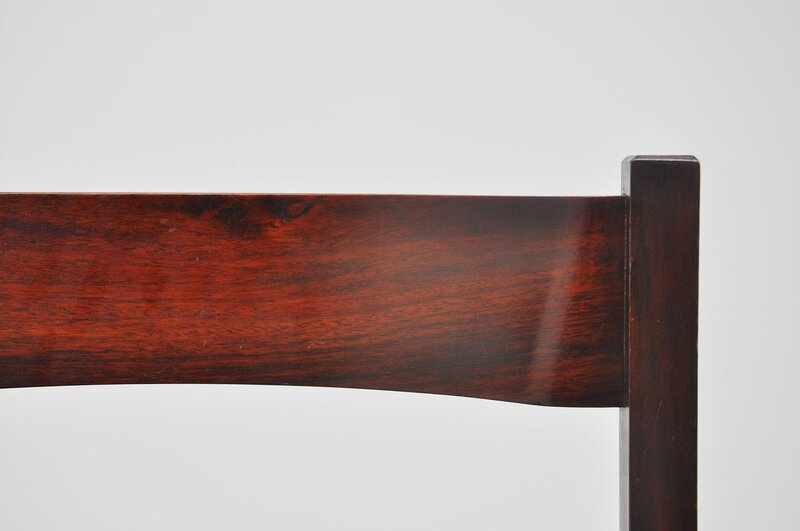 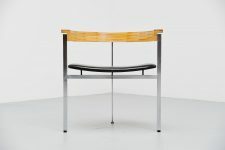 Have a look at the nicely connected dovetails at the leggs and the plywood back rest. 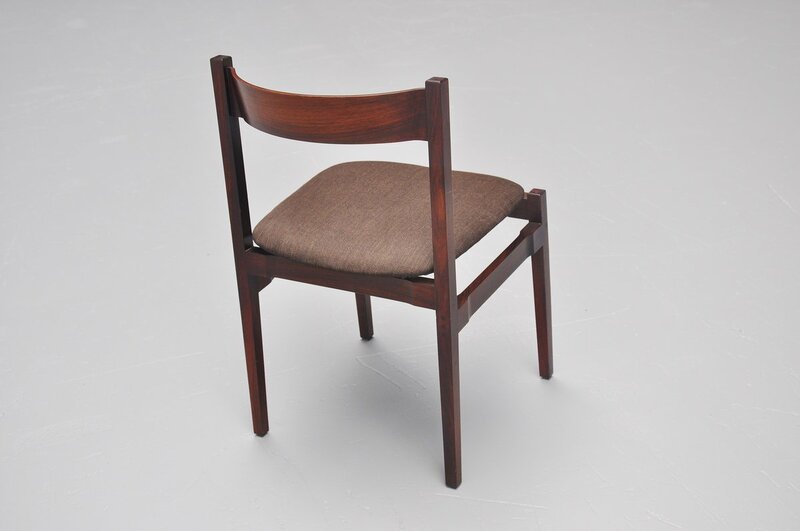 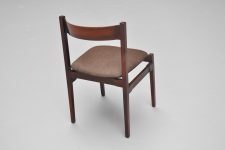 These chairs still have their original brown fabric upholstery, can be changed upon request. 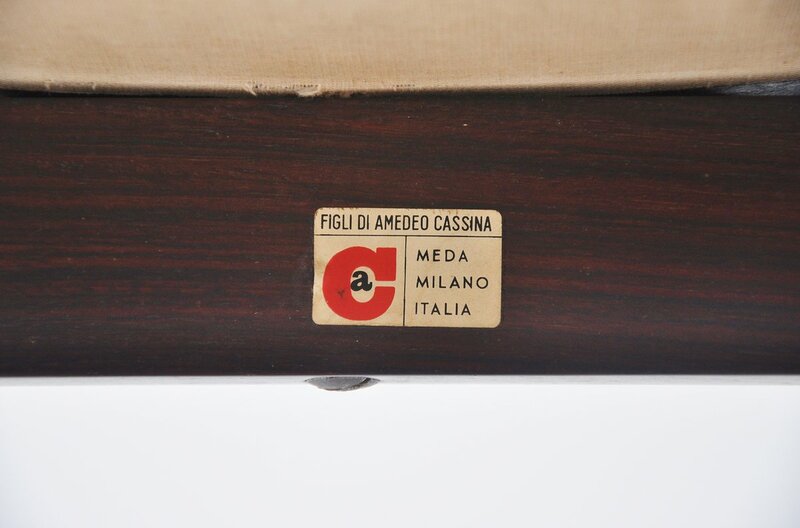 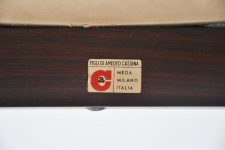 Chairs are marked with the Cassina sticker accordingly.